All-Clad skillets are among the most popular pieces of cookware we’ve ever posted, and Amazon’s marked the 10 and 12" tri-ply down to their lowest prices ever. 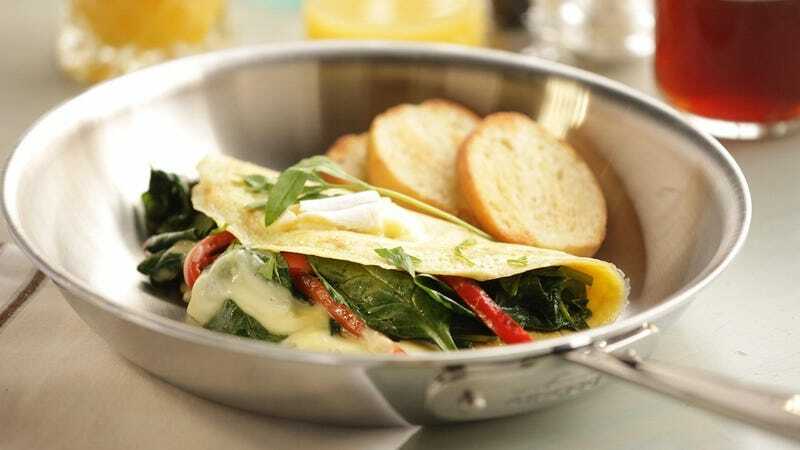 These skillets feature a durable stainless steel cooking surface, an even and rapid-heating aluminum core, and a beautiful stainless exterior, all sandwiched together to create the ultimate pan. And, like all All-Clad items, it comes with a lifetime warranty, though you probably won’t need it so long as you treat it well. You’ve actually got a couple different options to choose from today. Most buyers will want to opt for the 12" skillet with lid for $90, but if you’re only cooking for one or two, you might be able to get away with the 10" model for $75.